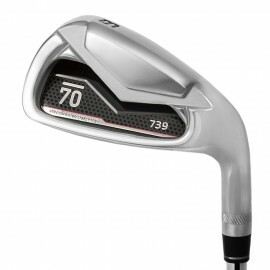 Sub 70 has two simple goals...to create premium quality, high performing golf equipment and to offer those products at a fair price. As avid, passionate golfers ourselves, we understand that many players will want to test the products firsthand before making a purchase. 1) Golfers can visit the Demo Program page on our website to see which products are currently available. 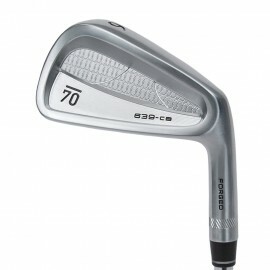 2) For all iron models both a 6 and 9 iron will be sent to the golfer. Players that are interested in drivers, fairway woods, hybrids, wedges and putters will receive a single demo club. 3) All demo clubs will be built to standard loft/lie/length. There will be a variety of shaft stiffness options available for most clubs. 4) A Sub 70 representative will contact you within the demo trial period to discuss your experience. We know there are situations where you may need to request additional time to test the clubs...poor weather, unexpected travel/family situations, etc. We want to make sure that each demo user has a chance to properly test our equipment. The Sub 70 representative can address any questions that you have on the clubs and will also make sure that a pre-paid return label is emailed to you. The return label can be affixed to the original package to ensure the clubs are returned to us as expected. 5) The final cost to the player for this Demo Program is $20.00 which is used to ensure that the clubs are packaged and shipped properly. When completing the checkout process the golfer will be charged $220.00 for drivers and $120.00 for all other demo products. HOWEVER, upon return receipt of the clubs at our facility, golfers will immediately be refunded $200.00 for drivers or $100.00 for all other clubs. If you have any questions regarding this process please contact Jason@GolfSub70.com or call us at 877-267-7093. We do have limited inventory for demo clubs so please contact us or check the website often if you are hoping to test a particular club. We will do our best to keep expanding our inventory based on demand. Please keep in mind that these are demo clubs. They may show minor signs of wear from previous golfers or the shipping process. 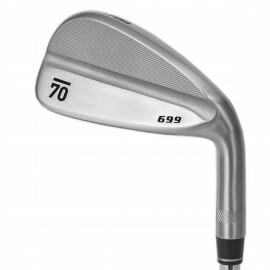 These are also stock clubs and not custom built to your specifications. We hope that the Demo Program will give you further confidence in the quality of Sub 70 equipment, but please remember that all club purchases will be custom built to your specifications. Whether it is a loft/lie/length adjustment or you need a specific shaft/grip, we will make sure you get exactly what you need for the club to perform at its best. Thank you for your interest and support of Sub 70 Golf. If you have any questions regarding this process please contact Jason@GolfSub70.com or call us at 877-267-7093.